HOUSTON (KTRK) -- Looking to get a health checkup at a price you can't beat? At the price of free, Walmart is the place to be today. 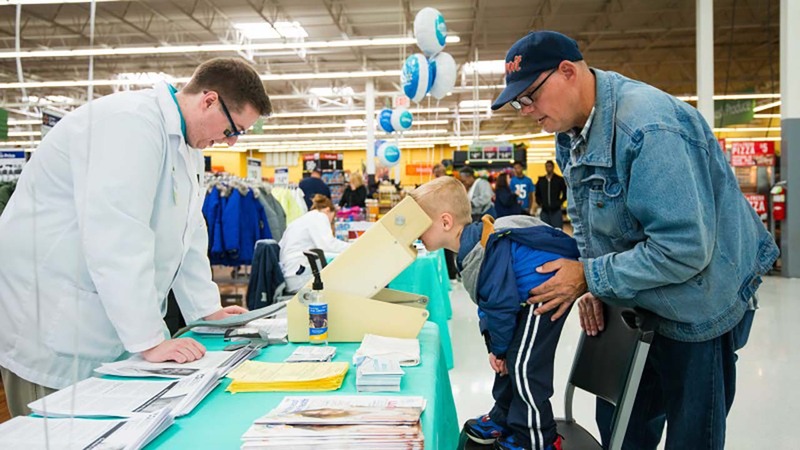 From 12pm to 4pm (local time) today, the retail giant will offer free health screenings, education, services and products during its Walmart Wellness Day at more than 4,600 stores across the country. Check out more free stuff in Houston! "As more than 90 percent of Americans live within 10 miles of a Walmart store, we're committed and uniquely positioned to providing accessible and affordable healthcare that helps busy families live better," George Riedel, senior VP and President of Walmart's Health and Wellness, said in a statement. "Walmart Wellness Day is at the center of that commitment. These screenings provide customers with a basic yet vital understanding of their general health conditions and ways to improve it." Walmart says the event will provide free blood glucose, blood pressure, vision screenings (where available), product samples and information on health insurance options. Licensed pharmacists will also offer immunizations in all Walmart pharmacies.